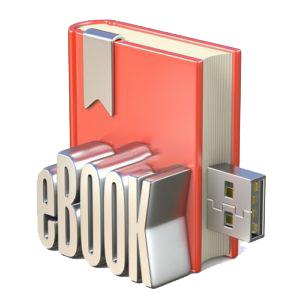 “Need it Now” eBook version may be displayed on MAC, PC or any mobile device Check the catalog page and click on course name for details and prices of each option.The company reserves the right to change pricing as necessary due to market demands. Every effort will be made to deliver witihn 24 hours of verification of school employment as an educator. Due to time differences between the customer’s location and Teaching Point in the U.S., or orders paid for near the end of or after regular business hours in the Eastern Time Zone, it may until the next business day to deliver download license and file links after a customer agreement is received. If you have ordered late on a Friday (our time), then the next delivery of download orders will most likely be on the following Monday with exception of holidays(which can occur approximately annually 4 times in the U.S.). 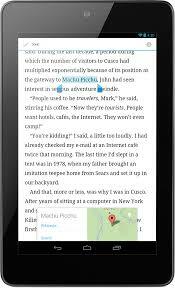 Note: Student eBooks are also sold in printed versions. enroll you for mentoring teacher access that comes with your purchase; and 5) that we have a reliable email address at which we can notify you of updates and enrichments. SUBSCRIPTION RENEWALS: The subscription versions (eBook and printed teacher edition subscription) are due for renewal at the end of the term, which is either one school year (or a two-year term for IB titles) from delivery. After the end of the subscription term, due to copyright and intellectual property rights, neither the electronic or printed materials may be used until either a subscription renewal or a minimum 25 printed student books (an upgrade to a class set with pertpetual license where no renewal is necessary) are purchased. 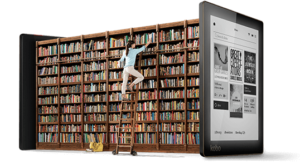 STUDENT BOOKS: eBook or printed editions may be ordered separately in any number with accompanying teacher manual order. The printed editions can be bound in one of two ways as either consumables or non-consumables based on your preference (click here for details). CREDIT TOWARD PRINTED VERSION: If after receiving the online screen view version you decide to upgrade to the printed Teacher Edition Subscription or Class Set you may do so for the difference in price between the price paid for the screen view version and one of the two upgrade print versions plus shipping. DISCOUNT FOR CLASS SET UPGRADE: You may upgrade to a class set version by ordering 25 or more pre-printed student books and receive $100 USD credit (not including any shipping charges) toward that purchase based on your previous purchase of a teacher edition subscription version through the end of the current subscription period. The advantage: Class sets come with a perpetual license which does not require renewal (except for new books or updated editions) and reduces printing. Renewable subscription editions vs. perpetual license class sets: Subscriptions do not require the purchase of pre-printed student activity books (which you can you print from download file) and therefore can be purchased at a lower price. On the flip side, classroom sets deliver 25 (you can order more than 25 if you need them) student books pre-printed and do not require subscription renewal. The subscription editions allow printing from the electronic files of the student materials including the activity book or lab manual and, like many software and database subscriptions, are, as a result, renewable. When purchasing the subscription edition license you agree to the period of use (1 year for non-IB materials, 2-years for IB materials). If you will be using the materials in succeeding school years, you will agree to renew the materials until you discontinue use or upgrade to a class set. With renewal, depending upon which version you purchase, you will receive a continued access to the copyrighted files and renewed mentoring teacher email access. TEACHINGpoint instructional support course material and Mentoring Teacher Program qualify for funding, beyond departmental budgets in most countries as professional development or instructional support materials. In the U.S., for instance, there are many sources for funding Teaching Point Instructional Support Materials and Mentoring Teacher Program in schools including but not limited to: ESSA Title I, 10% of which can be used for professional development, for which Teaching Point materials qualify; and Title IIa, Improving Teacher Quality State Grants, which is 100% for professional development of teachers or Title 5 Innovative Programs (speak to your School District Federal Funds Director); Carl Perkins Foundation, Tech Prep Consortia, Comprehensive School Reform Grants, Achievement Zone, Gates Foundation, RTI Funds, Workforce Development Grants, State and Federal Grant Funds, Milton Foundation, and Race to the Top, Professional Development funds; New Teacher funds; School Improvement funds; Comprehensive School Reform funding; local, state, regional or national educational foundations.